Australian girl Monika Samaan has been left mentally and physically impaired after she fell seriously ill from salmonella poisoning in 2005. 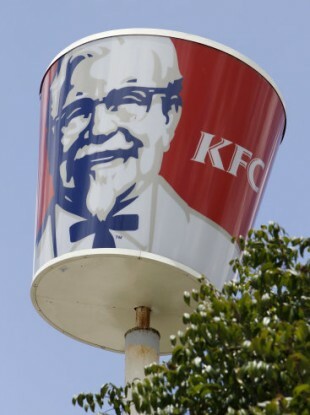 KENTUCKY FRIED CHICKEN has been ordered by an Australian court to pay €6.5m in compensation to a young girl who suffered severe brain damage from salmonella after eating a chicken meal at the fast food restaurant. Monika Samaan was seven years old when she fell seriously ill with salmonella poisoning after the meal in October 2005. The Supreme Court of New South Wales heard that the girl’s parents and brother also fell ill with vomiting and diarrhoea after sharing the KFC chicken ‘Twister’. Samaan’s illness was by far the most severe of the family and she spent six months in a coma, suffering organ system failures and septic shock. She has since suffered severe cognitive and motor impairment, and in unable to function independently. KFC denied that the Twister had been purchased by the girl’s father at the time he claimed, and denied that such food was unsafe for consumption. The court ruled last week that KFC had breached its duty of care. Today, the court ordered KFC to pay AUS$8.3 million (€6.5m) in compensation plus costs to the family. The company is expected to appeal, the Sydney Morning Herald reports. A lawyer for the family said they welcomed the court’s decision and they had exhausted their own very limited resources already in caring for their daughter. Email “KFC ordered to pay €6.5m compensation to girl over food poisoning”. Feedback on “KFC ordered to pay €6.5m compensation to girl over food poisoning”.